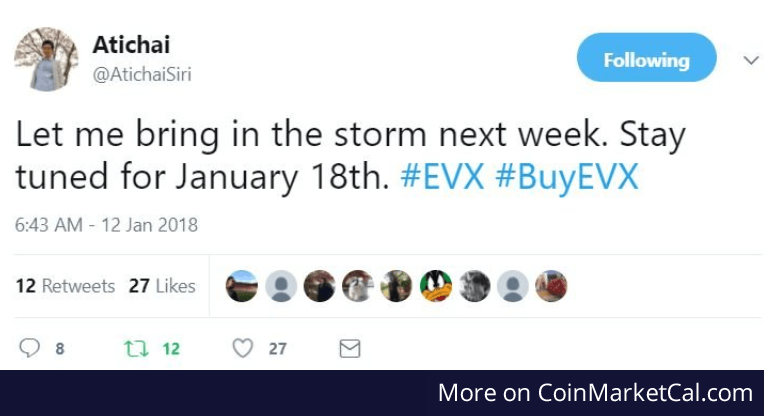 Everex (EVX) - Events, Price, Market Cap, Supply, Exchanges and more! 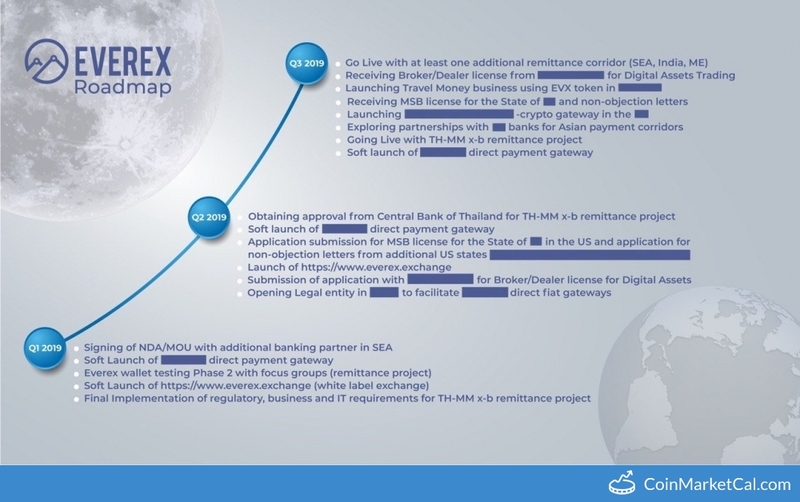 "Launch of https://www.everex.exchange," in Q2 2019. 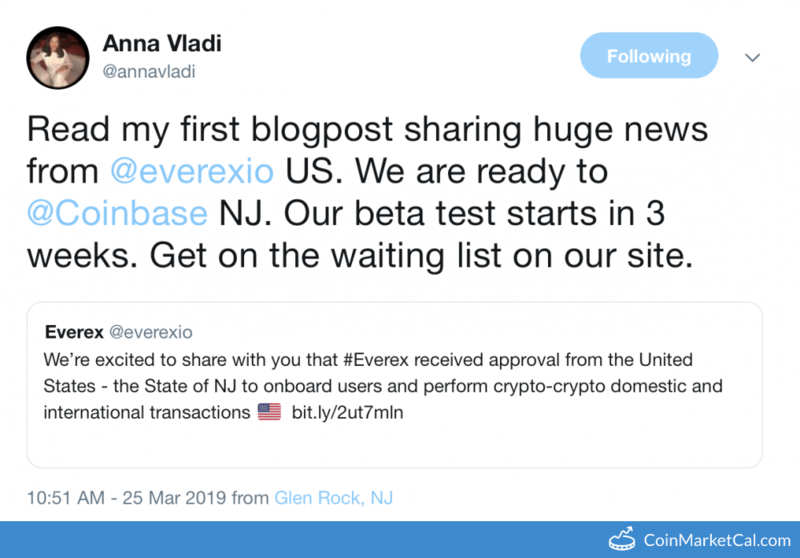 "We are ready to @Coinbase NJ. Our beta test starts in 3 weeks." 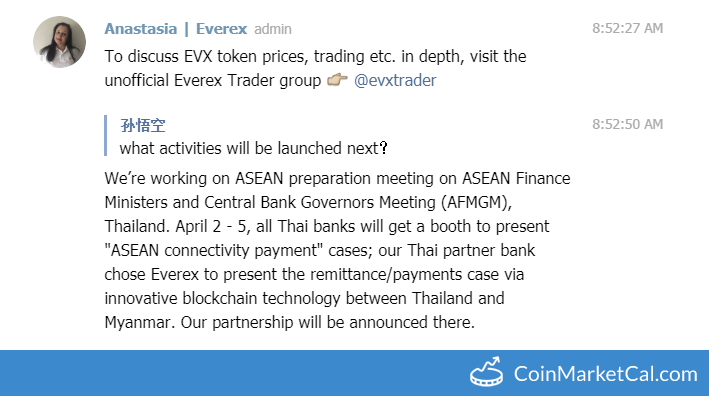 "... Our Thai partner bank chose Everex to present the remittance/payments case via innovative blockchain technology...," between April 2-5. 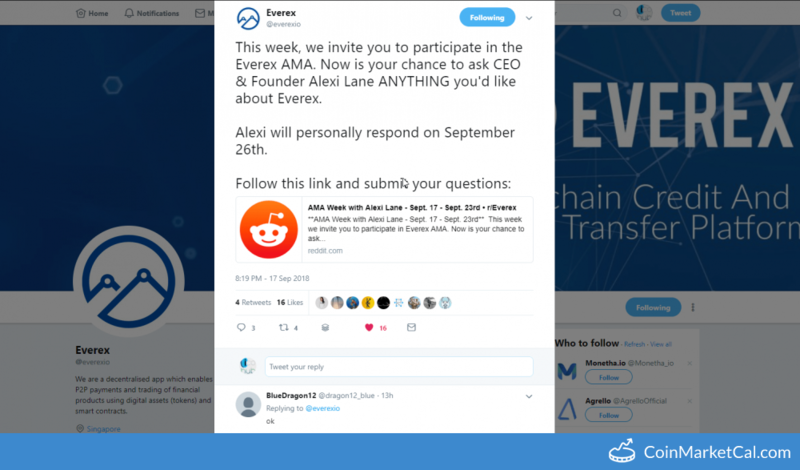 Come join the Everex Community AMA with CEO & Founder Alexi Lane Everex is a FinTech company providing blockchain powered solutions in Asia. 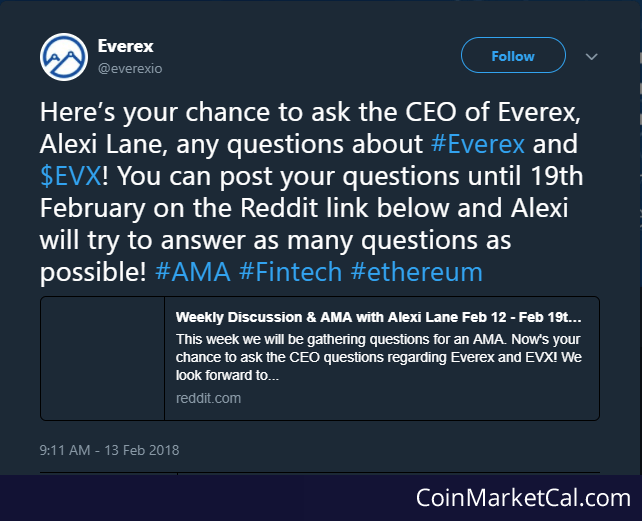 Alexia Lane (CEO of Everex) will answer questions posted on Reddit until Feb 19th. 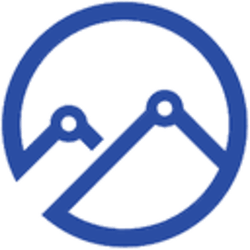 EVX will be listed on the Swiss-based Lykke Exchange enabling the European markets to trade EVX. 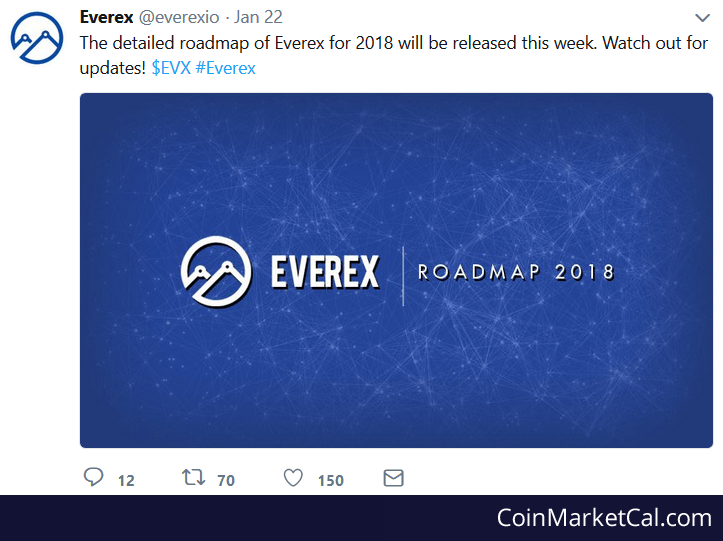 The detailed roadmap of Everex for 2018 will be released this week.